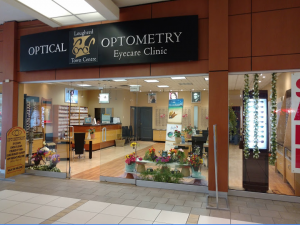 Located in Burnaby’s Lougheed Town Centre Mall, Lougheed Town Centre Optical & Optometry is easily accessible from Coquitlam, Port Moody, and Westminster. Only minutes away, we look forward to your arrival! Check out our hours, map, and contact details – then book an eye exam with Dr. Gilani – or drop by our office anytime to browse through our large selection of designer eyeglasses.